The overall view for your total or partial solutions. 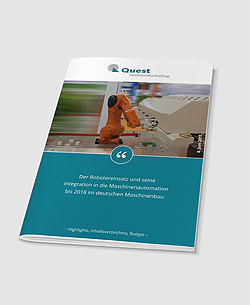 The study offers an indispensable roadmap for robot suppliers and automation suppliers for the evolution of the own product and service portfolio. 123 pages, 49 figures, 33 tables and 260 statements of the machine-builders.